Ensure your book distribution becomes one of the can't-miss parties of the year at your school with these Big Event marketing materials. 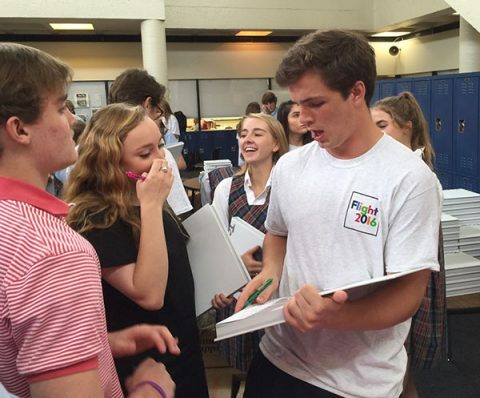 Think about it: Students love getting their yearbooks signed by their friends. It’s one of the things that makes yearbooks so permanent (and something you don’t get with Facebook or other social media). Another universal truth: Everyone gets excited about a Big Event. 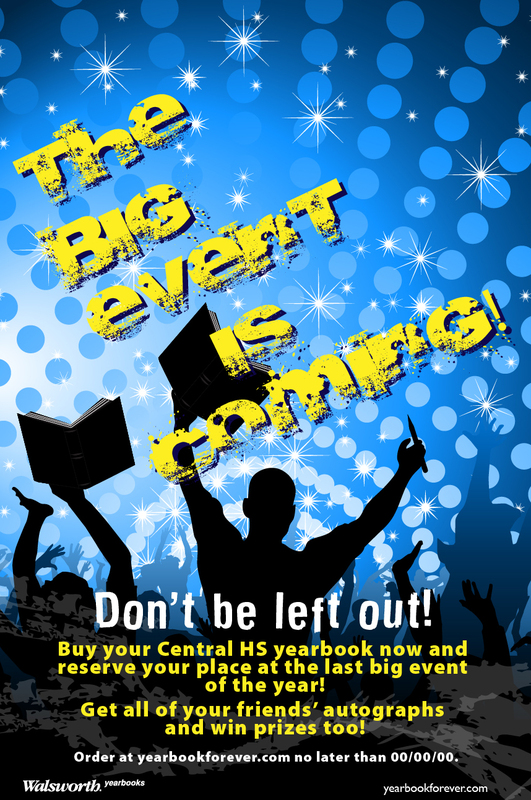 You have a chance to organize a yearbook signing party during book distribution that can be one of the events of the year at your school. 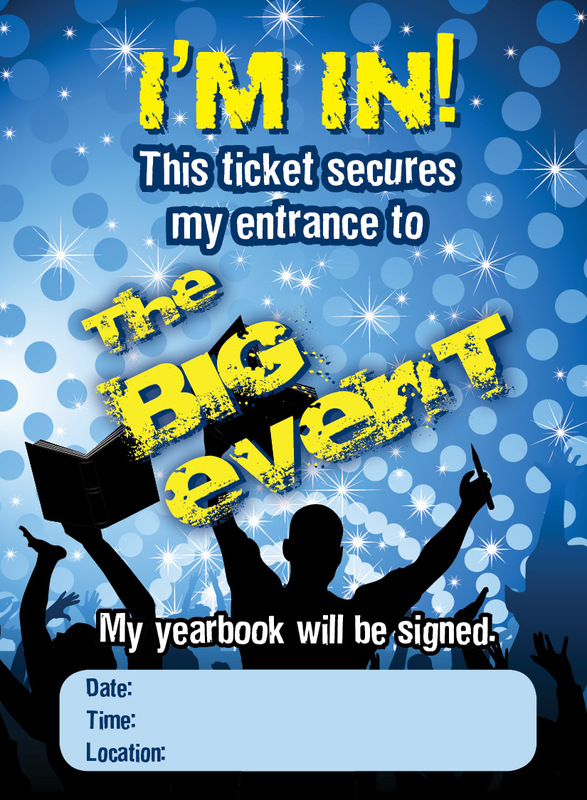 Walsworth’s Big Event materials allow you to organize a fun campaign that grants exclusive access to the signing party to all yearbook buyers, including customizable tickets, backstage passes, fliers and posters. Order your Big Event items using the form below! Size: 14x22. Select printer and quantity. Size: 8.5x11. One-sided. Select printer and quantity. Size: 6.2x2. One-sided. Select printer and quantity. Who is printing these tickets? Size: 2.75x3.75. Two-sided. Select printer and quantity. Who is printing these backstage passes?